Today we had an awesome Royal Bouncy Castle with Inflatable Slide Party! The sun was shining and the weather was perfect. This birthday party was at a school that we have set up many bouncy castles in the past. The kids were so excited they were trying to get in the bounce house before it was fully inflated. Once we gave the “OK”, (after it was setup, sanitized, inspected and landing pads were placed down), the children ran in as fast as they could. They had a blast! 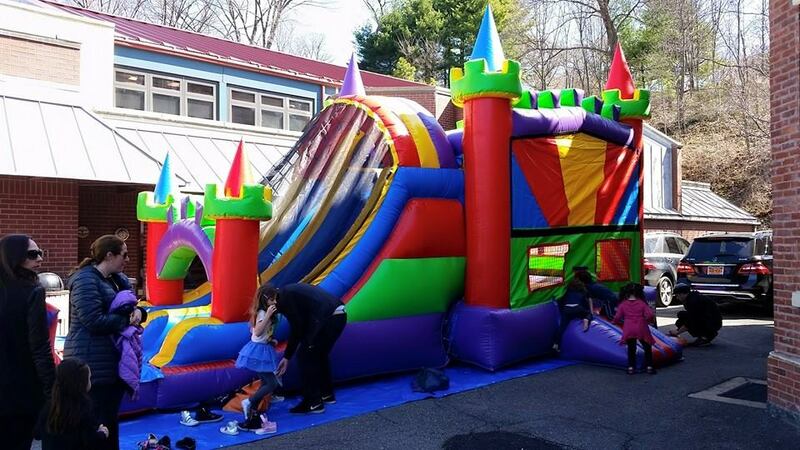 The Royal Bounce House with Slide is a 20×30 bounce house and we can fit banners onto the front to fit your party theme. There was food, dancing, games, music…and the best part……Can you believe the DJ was only 10 years old? He was the coolest DJ we’ve ever seen! He was casually eating pretzels while he was coordinating his next song. 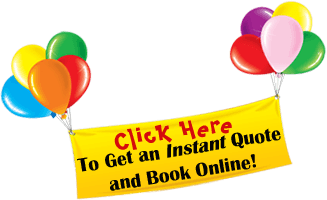 If you would like to rent the Royal Bounce House with Slide Combo just click the button below to reserve it for your next event on our secure online ordering system.